In my world a party just isn’t a party without at least six kinds of cheese, and Baked Brie is the best of the best when it comes to pleasing your wine drinking friends. Don’t worry, as pretty and “impressive” as they tend to look all dolled up on your hostess’s serving platter it couldn’t be easier to make. 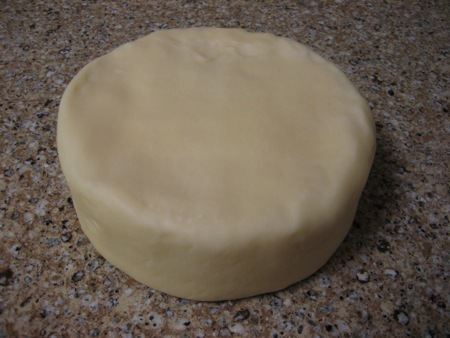 Unwrap the Brie and cover it with the pie crust. 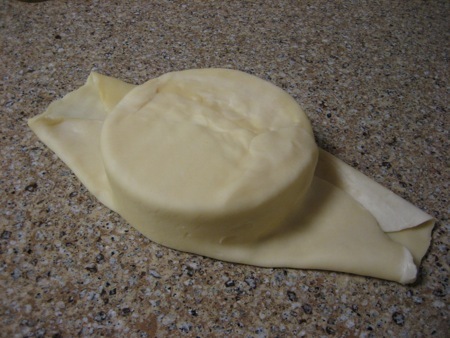 Trim the excess dough carefully from the edges, smooth out the dough and close up any open seams. 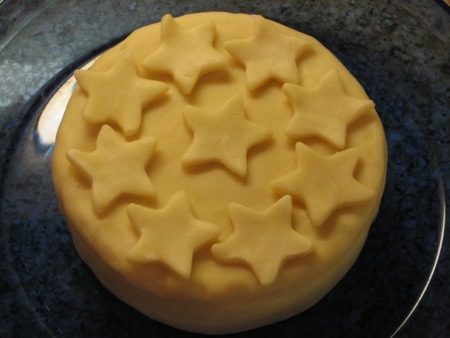 Roll out the remaining dough and decorate the pastry covered Brie with the cutout shapes. Bake in an oven proof dish at 375 degrees for 25 minutes or until the top is golden brown. 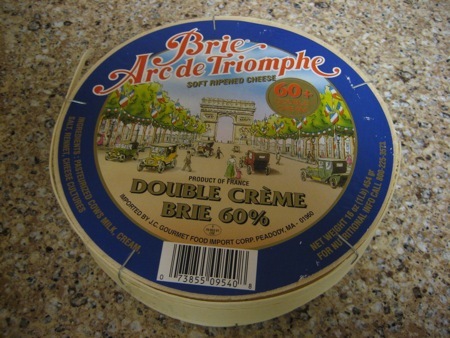 i wish i may, i wish i might put that brie in my mouf tonight! ow ow. looks awesomely easy! we are HUGE cheese eaters at my house. While it does sound like a great idea for an entertaining table, have you got a suggestion as to what someone with no access to this Pillsbury dough or prefers making their own to premade could do? Would a regular buttery pie pastry do the job? 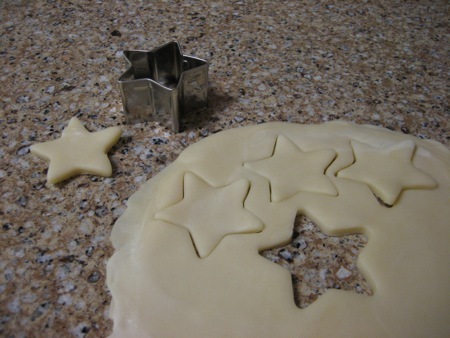 You can definitely use homemade pie crust! It would probably be 10 times better if prepared that way, I’m just terrible at making pie crust so I usually cheat. 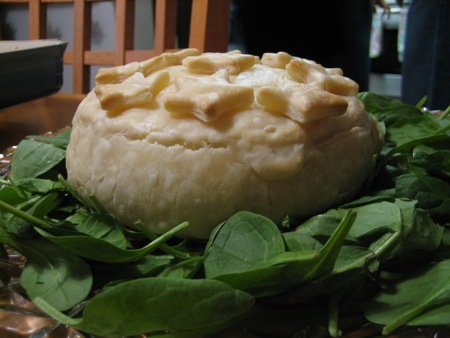 A lot of people also make baked Brie wrapped in puff pastry or even phyllo. At any rate, it’s really the creamy Brie that everyone wants to eat, not the pie crust — no matter how much you dress it up. Previous post: An Erin Cooks Christmas Success!